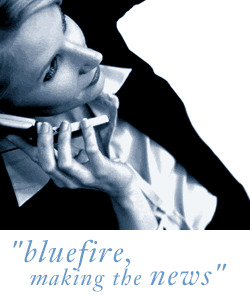 Bluefire Consulting | BMS Engineering Manager : technical engineer BMS BEMS BAMS building management systems energy leader super manager commission install application M&E controls Trend Tridium TAC Satchwell Honeywell Struxureware Continuum Cylon Siemens DESIGO FAS Johnson Sauter "Comfort Point"
BMS Engineering Manager North & Midlands (various office locations) up to £65k plus great benefits If you're an ambitious Engineering Manager looking to work on some of the highest profile BMS projects coming up in the UK we have the job for you. Our building management solutions are currently being deployed across some of the biggest contracts in the UK and, owing to that increased workload, we're looking for a new BMS Engineering Manager. If you're an ambitious Engineering Manager looking to work on some of the highest profile BMS projects coming up in the UK we have the job for you. We're a global energy management company with a great reputation for manufacturing top of the line products in a socially responsible way, our staff also enjoy brilliant training and development opportunities. Our building management solutions are currently being deployed across some of the biggest contracts in the UK and, owing to that increased workload, we're looking for a new BMS Engineering Manager. In your new BMS Engineering Manager role you'll lead a team of remote Project Engineers, Commissioning Engineers and Installers to ensure we deliver great service to our clients. This is an office-based position in the location closest to your home although the projects will be spread across the North of England and the Midlands. Working closely with the tendering and project management teams you'll be responsible for devising and delivering value engineered technical solutions across a range of interesting BMS projects. As BMS Engineering Manager your technical knowledge will be appreciated from initial consultation through to final sign off. Post order your BMS engineering team will take the lead during the installation and commissioning phases of the project, with top priority given to compliance and customer satisfaction. You'll also be on hand to answer technical and operational queries throughout the implementation of the contract. Our BMS division is expecting to grow rapidly over the next few years so once you've found your feet we would be looking for you to continue expanding the department and developing the current staff alongside your own career with us. If you're a BMS whizz with a background managing engineering teams we'd love to hear from you! To be able to hit the ground running you are going to have great technical knowledge when it comes to building management systems as you'll be liaising with clients and overseeing a high performing technical team. The majority of them will be based remotely so you'll also need to be a strong manager to ensure they feel included with and engaged by our brand. As BMS Engineering Manager you'll also act as an ambassador so customer facing experience would be a great advantage. We're an organisation who are passionate about our products and, to make sure you enjoy working for us, it would help if you were an enthusiastic, dynamic person who enjoys constantly increasing your own knowledge base. Our BMS division is able to offer top of the range full lifecycle solutions to organisations around the UK. We're currently at the beginning of some very exciting, high profile projects and expect to continue growing from there, which is why we're looking at a large expansion across the BMS team. To come on board at this exciting time click "apply" now. technical engineer BMS BEMS BAMS building management systems energy leader super manager commission install application M&E controls Trend Tridium TAC Satchwell Honeywell Struxureware Continuum Cylon Siemens DESIGO FAS Johnson Sauter "Comfort Point"